RPSC Asst. 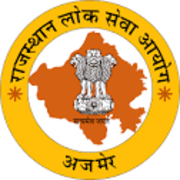 Engineer Answer Key 2019: Rajasthan Public Service Commission has issued the Answer Key on 08 Mar 2019 for RPSC Asst. Engineer Exam 2019. Answer Key can be accessed from the link given below. Download Answer Key of Agricultural Engg. Download Answer Key of Mechanical Engg. Download Answer Key of Electrical Engg. Download Answer Key of Civil Engg. Download Answer Key of G.K.